The remote-killing was the first of its kind on U.S. soil, and generated intense debate about the ethics of using robots to destroy humans. Did Johnson pose an imminent threat at the moment of explosion? What about due process? And when should a robot perform an exceptional act of state violence? These questions mirrored established concerns about drone warfare. For more than a decade, the U.S. military and intelligence communities have killed by proxy. Outside of “hot battlefields,” from Pakistan’s tribal areas to Yemen’s deserts, Predator and Reaper drones have hunted from above. Hundreds of strikes and thousands of deaths have crystallized a new way of waging war. Bruised by nearly a decade of billion-dollar skirmishes, the White House slowly pivoted to the robotic. Drones circling in the clouds, rather than soldiers scrambling on the ground, became a nonhuman solution to a very human problem. As troops withdrew from Afghanistan after fighting the longest military operation in U.S. history, drones stayed behind: unblinking sentinels in the sky. In Syria and Iraq, Reapers continue to provide the military with a high-definition picture of below. At the outset of the war on terror, the U.S. military had a handful of drones. Now, more than 11,000 unmanned vehicles constitute a robotic armada, from hand-thrown Ravens to the large Global Hawk drone. How can we describe this cyborg imperium? For millennia, empires have risen and fallen. They are an enduring feature of human history. After launching the war on terror, empire was a term widely used to describe the Bush administration’s invasion of Afghanistan and Iraq. Neoconservatives and liberals alike embraced the idea of a distinctly American empire. In their eyes the world was now a battlespace and the U.S. military a beacon of order. The network of military bases installed in the Cold War expanded to serve a vast military manhunt. Yet as the years passed and the death count rose, the specter of another “Vietnam Syndrome” seeped into the corridors of Washington, D.C. Bogged down in a vicious counterinsurgency, the war on terror had slowly transmuted into a forever war. The Obama administration subsequently oversaw a drawdown of U.S. troops. Behemoth bases were mothballed, and the number of Americans in foreign lands fell. But did this mean that empire was fading or simply changing? This question is crucial. Is “empire” still a relevant term to describe the “small footprint” approach enabled by robotic prosthetics? I think so, but the empire of today is unlike anything before. Although empires have always relied on technology to project their power—from Roman roads to British ships—we now live in an age of advanced artificial intelligence, supercomputers, robots, the Internet, and satellite communications. An artificial skin has been grafted on the planet, with earthlings joined together in electromagnetic communion. This has profoundly changed the spaces, subjects, and apparatus of state power. Violence, although a distinctly human activity, is increasingly conducted by proxy. The rise of the Predator drone at the dawn of the war on terror enabled the U.S. military to project power without projecting human bodies. The interface between American imperium and its enemies was mediated by robot. And this continues to materialize a transition away from a labor-intensive American empire to what I call a machine-intensive Predator Empire. Empire abhors a vacuum, and the U.S. homeland—long a target of police militarization—soon saw Predators deployed along its national borders. The killing of Micah Johnson was therefore the latest case of robotic blowback. Robots from the battlefield are routinely transferred to police departments across the U.S. Financed by the Pentagon’s 1033 Program, together with funds from the Department of Homeland Security and the Department of Justice, around 1,000 ground robots have joined a cache of war gear that has spilled onto U.S. streets. And that’s in addition to police drones that are starting to swarm in cities and suburbs. 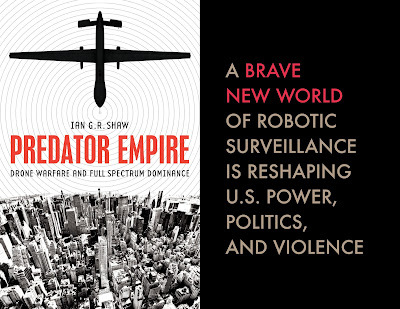 Robots, whether in warfare or policing, on the ground or in the sky, are clearly changing the conduct and spatiality of U.S. power, politics, and violence. And we are only beginning to understand the meaning of this artificial regime for what it means to be a human. A key battleground will be how democracy, legitimacy, and accountability function in a world where decisions—and the ancient art of killing—are severed from humans. Ours, after all, is the age of alienation. A toxic individualism rips through the planet, splintering lifeworlds and entrenching a pervasive paranoia. It is little wonder that the machinery of imperialism today reflects this system that birthed it: a grinding war of all against all. In her essay On Violence, Hannah Arendt warned that governments who feel legitimate power slipping away from them “have always found it difficult to resist the temptation to substitute violence for it.” My fear is that governing by consent, a victory hard-won over centuries, is at risk of being radically overturned by governing by violence. Shoveling billions of dollars within the belly of the Predator Empire risks such an inversion. 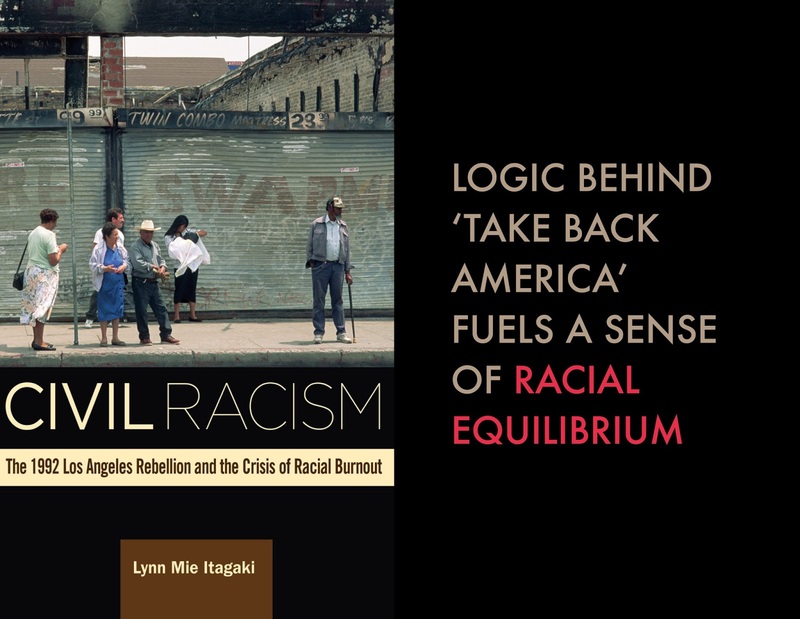 This would represent a Hobbesian Leviathan shorn of any pretense to protect a unified commonwealth: a state apparatus whose sole duty is to police segregation. A new social contract for the robotic Leviathan of the twenty-first century. Empire has not disappeared. In the twinkling of satellites, the snaking of undersea fiber-optic cables, and the whir of data storage facilities, a robotic imperium thrives. Perhaps it is more difficult to see than legions of Roman phalanxes, but the Predator Empire exists. It never sleeps or blinks in its attempt to secure a splintering planet. Our task is to wake up to a brave new world marching into a future without us. 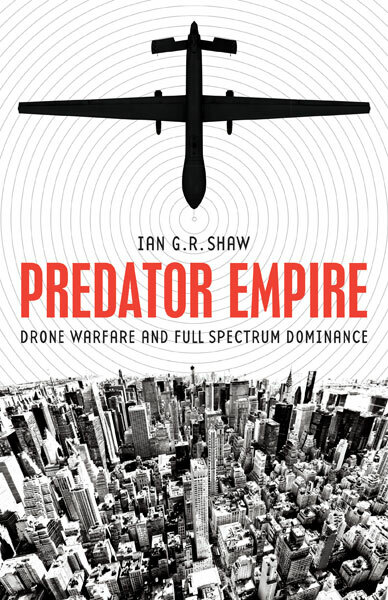 Ian G. R. Shaw is author of Predator Empire: Drone Warfare and Full Spectrum Dominance. He is lecturer in human geography at the University of Glasgow. 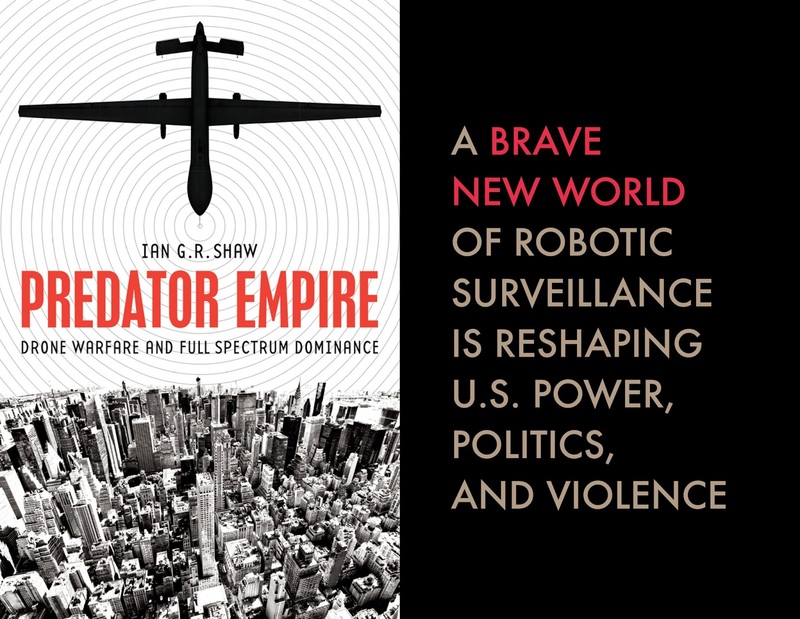 "A compelling account of the geopolitics of the drone as it haunts ‘policing, predation, and planet.’ Ian G. R. Shaw's book is as attentive to the historical and cultural geographies of the unmanned aerial vehicle as it is to the preemptive foreclosure of political futures." 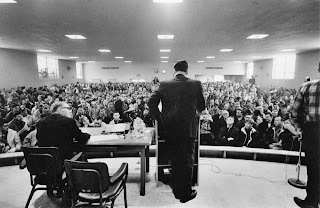 The UAW Local 879, 75 years ago: Ford, FDR, and the hard-fought battles behind the launch of this legendary labor leader. during the 1980s and 1990s in promoting workers' rights and fair trade. Image from the author's collection. Henry Ford, founder of Ford Motor Company, vowed on many occasions that he would never allow a labor union. When workers at a plant in Buffalo, New York, walked out in a wildcat strike in 1912, he shut the facility down. No one ever doubted his resolve. 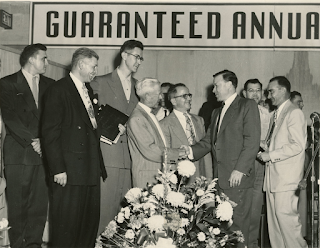 So how did the United Automobile Workers (UAW) manage to organize the Ford Motor Company seventy-five years ago? It took the concerted efforts of tens of thousands of workers, the determination of President Franklin Delano Roosevelt, and Walter Reuther of the UAW—and most importantly, an ultimatum from Ford’s wife, Clara, who was desperately trying to save the company for their son, Edsel. 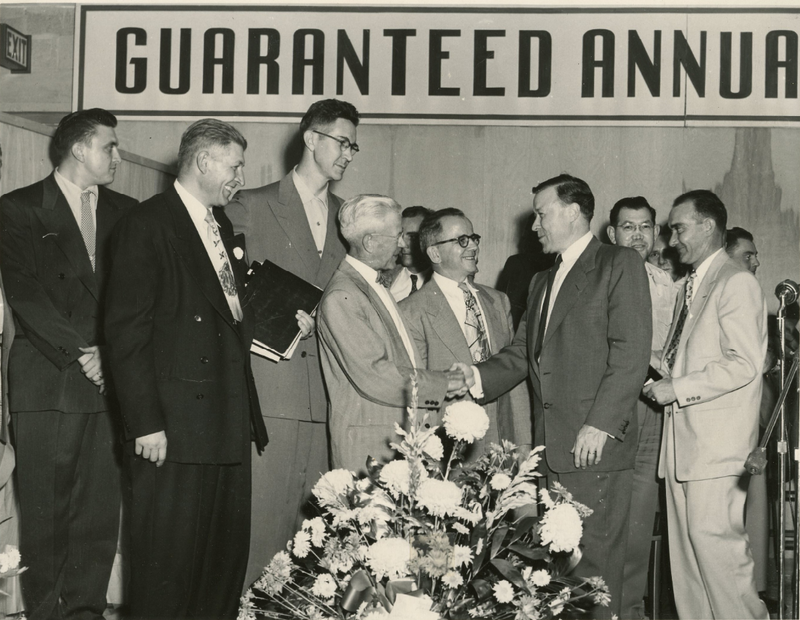 On July 18, 1941, UAW Local 879 received a charter to represent workers at Ford’s Twin Cities Assembly Plant. Various organizations, including the UAW, had been struggling for decades to improve working conditions at the Ford Motor Company—and paying a high price for their efforts. At the Ford Hunger March in 1932, which started in Detroit and ended in Dearborn, Michigan, four workers protesting unemployment during the Depression were shot and killed by police and Ford service agents. Dozens more were injured. has the caption "Dearborn: No Trespass!" is now owned by Erik's Bike Shop. Image courtesy UAW Local 879. As a result of the Battle of the Overpass and other egregious labor violations, the National Labor Relations Board (NLRB) ordered Ford to stop interfering with the right of workers to organize. Ford refused and challenged the legitimacy of the NLRB in court. Even after the case was rejected by the Supreme Court on February 10, 1941, Ford still refused to comply. Fed-up workers at the Rouge plant walked out on April 1, eventually shutting down all Ford operations throughout the country, including the Twin Cities Assembly Plant. As the labor battles were ongoing, Roosevelt was preparing for a different kind of battle: war in Europe. American manufacturers were generally cooperative with the military preparedness effort but Ford was characteristically defiant, in part because of his pacifist beliefs. Roosevelt and the military made it clear that the country needed the industrial might of the Ford Motor Company. In August 1940, Ford was awarded a contract to build airplane engines, followed by orders for armored cars and trucks. This was strongly opposed by the UAW, which had still not organized Ford three years after GM and Chrysler. They claimed that Ford was anti-labor, unpatriotic, and a Nazi sympathizer. There was a perception that an increasingly senile Henry Ford was dragging his feet on fulfilling the military contracts. Roosevelt threatened to take over the company. In an effort to tame the “rugged individualist,” Roosevelt had employed federal procurement policies, labor regulations, and a threat to nationalize the company—all without much success. Ford finally capitulated after receiving an ultimatum from Clara to sign a labor contract or she would leave him. 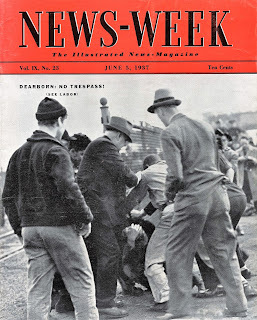 A union election was held on May 22, 1941, which the UAW-CIO (Congress of Industrial Organizations) won in a landslide. A broken Ford agreed to a contract that was signed on June 20. “The company granted the union everything it asked and threw in the union shop and check-off [dues collection] gratis,” the New York Times reported. The national contract would also apply to all branch plants after local ratification. 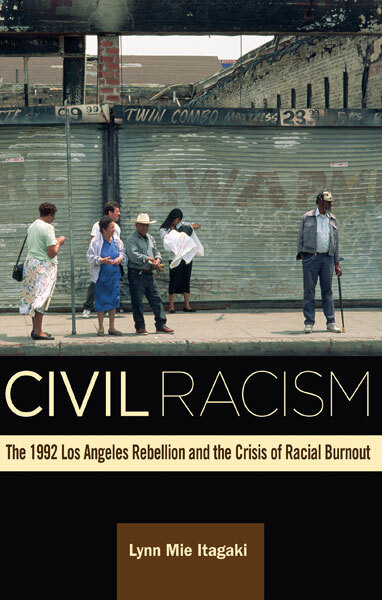 Labor activists in the Twin Cities were fortunate that they were not subjected to the violence that often accompanied organizing campaigns in Detroit. Several retired auto workers who participated in an oral history program in the late 1990s described the brutal working conditions at the Twin Cities plant in the 1930s, which were comparable to those at ten other Ford branch plants that had filed complaints with the NLRB. The CIO had sent an organizer to lead the local campaign. Clandestine meetings were held in living rooms, and at a Plymouth garage on Lake Street, Minneapolis, which was under surveillance by Ford agents. Workers knew there were company spies at the plant and that they risked termination if they were seen at any union meetings. The Twin Cities Assembly Plant reopened several weeks after the national labor agreement was signed in Detroit. On June 27, more than 1,200 workers attended an evening meeting in St. Paul and 900 signed union membership cards, giving it the needed majority. On July 18, 1941, the Twin Cities plant was issued charter No. 879 by the UAW-CIO. Local 879 opened an office at 444 Rice Street in St. Paul. Several weeks later a delegation from Local 879 met with Ford representatives in Chicago to learn the details of the union contract negotiated in Detroit. After many years of struggle to win the right to represent workers, the UAW had to abruptly redefine its mission. The first priority was to protect its members, as the plant was being converted from civilian production under Ford to military production under the Office of Emergency Management (OEM). As car production was being phased out, labor leaders at the local, state, and federal levels lobbied to keep auto workers employed in defense industries. On December 7, 1941, five months after the formation of UAW Local 879, Japan attacked Pearl Harbor and the United States declared war. Ford closed the Twin Cities Assembly Plant in 2011. 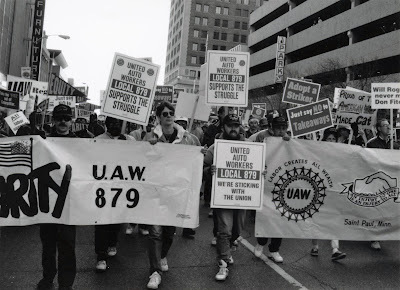 The charter of UAW Local 879 was terminated two years later after it sold its union hall and transferred responsibilities for retirees to another UAW local in Minneapolis. 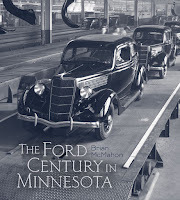 Brian McMahon is author of The Ford Century in Minnesota, forthcoming later this year from University of Minnesota Press. A trained architect, McMahon has lectured and written extensively on industry, urban history, and architecture and has developed and designed several exhibits for museums and galleries in New York and Minnesota. "Brian McMahon has done an outstanding job of showing how the top and bottom layers of the industrial hierarchy viewed reality—and how they saw and influenced each other."